By Costa Maragos Posted: July 25, 2017 6:00 a.m.
Maltha Uwambajimana felt warmly welcomed to the U of R the moment she approached the campus for the first time. 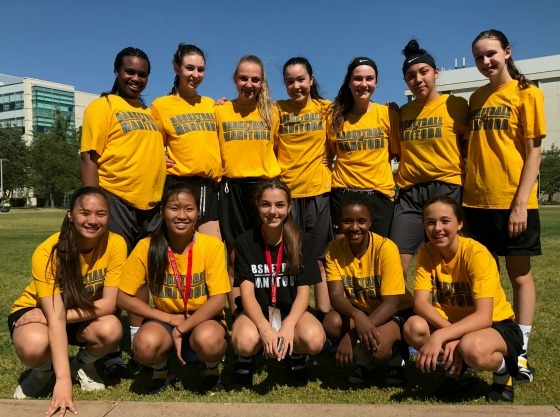 Uwambajimana is a member of the Manitoba Girls basketball team competing at the annual 15U Girls and Boys Canada Basketball 15U national championships held at the University. The U of R is hosting girls and boys teams from nine provinces July 24 – 29. All the games are being played at the Centre for Kinesiology Health and Sport. Uwambajimana’s teammates agree the campus is beautiful but they are also looking forward to competing. The tournament is organized each year by Canada Basketball, a not-for-profit organization that promotes the game at the grassroots and elite level. For fans, this tournament is an opportunity to see university hoop stars of the future. Steve Burrows, head coach of the Cougars’ Men’s Basketball team, agrees. 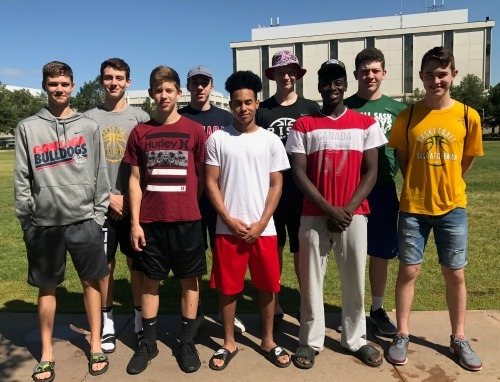 The games are at the U of R thanks in part to the efforts of Basketball Saskatchewan. The Saskatchewan girls team includes players from Regina, Saskatoon, and Warman. The boy's roster includes players from Biggar, Meadow Lake, Moose Jaw, Regina, and Saskatoon. If you can't make it to the University, every game is being live-streamed by Canada Basketball here.